According to the Centers for Disease Control, approximately 11% of children are diagnosed with Attention Deficit Hyperactivity Disorder annually. Does that surprise you? It seems like a low estimate to me, but I’m a certified professional organizer. The nature of my business may result in meeting more people with ADHD. With such a large segment of the population diagnosed with ADHD, it’s about as common as freckles. One would think it was simply accepted as one of the different thinking styles (visual, auditory, kinesthetic, etc.) Instead, I’ve met people who avoid the diagnosis whether they’ve actually received a formal diagnosis or a family member has “diagnosed” him or her. If you are wondering why anyone would resist, try to put yourself in his or her shoes. We live in a judgmental society. Some people have shared their reasons: fear of discrimination, avoiding the perceived label of a mental health disorder, believing a diagnosis won’t make a difference or referencing the many myths associated with ADHD. Therefore, I’d like to share some information in hopes of dispelling just a few of the myths that perpetuate a stigma about ADHD and may keep some from seeking support. ADHD always manifests itself in hyperactive, inattentive, and impulsive children. In fact, ADHD can look different in different people. Some children and adults may have trouble with hyperactivity while others have difficulty getting started at all. One person with ADHD might struggle with wandering thoughts while another can hyper-focus on a topic of interest for hours. Some believe adults outgrow ADHD. The truth is it stays with an individual throughout their lives. However, depending on the individual, it can begin in youth as hyperactivity and impulsivity and transform into inattentiveness and problems with relationships. Some believe medication will “fix” their ADHD symptoms. The purpose of medication is to help one focus. The good news is, ADHD can be managed very successfully. Individual needs vary. Medication, cognitive behavioral therapy (CBT) and/or psychotherapy may be necessary to provide life-management tools, and, when appropriate, working with a professional organizer can help provide organization and personalized systems to aid efficiency and productivity. Experience as a professional organizer and family advocate (not as a therapist) has taught me that formal diagnosis is so important. Many issues can mirror ADHD, even stress. Therefore, diagnosis by a psychologist or a clinical neuropsychologist should be part of a reliable diagnosis and medical plan. Creating routines, keeping often used items like keys in the same place every day, using task lists, breaking projects down into smaller tasks, and using your electronic calendar. These are just a few ways to create structure and ease stress in your life. Another thing to be aware of is the issue of comorbidity. This term means that issues such as anxiety, depression, and mood disorders can sometimes accompany ADHD. 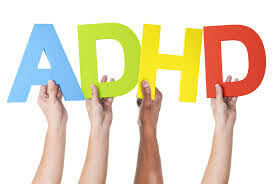 Studies indicate a genetic or physiological link between ADHD and other diagnoses. 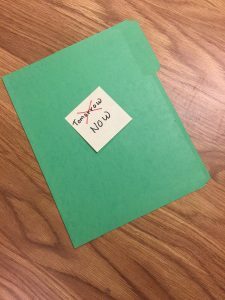 Feedback about arriving late, missing deadline, and conforming to “typical” classroom and workplace standards can often be negative for the person with undiagnosed ADHD. Hopefully, more discussion and understanding about ADHD, its symptoms, and potential comorbidity will result in people seeking and accepting help. In addition, general awareness may help others to create a more understanding environment, reducing the stigma around this and other diagnoses. You know I love you very much. You know I want us and our family to be happy. I treasure you in my life, and I want us to always be able to work out our differences and support each other. 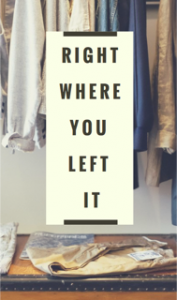 Unfortunately, we always seem to have the same disagreement over clutter. You are very lucky to know how to organize and to keep everything organized. I, on the other hand, struggle with this daily. Sometimes, it becomes totally overwhelming, and I don’t even know where to begin. I know you have my best interests at heart when you say you will help me, but regrettably, we end up fighting and getting nothing done. Keep me on track so I continue to make progress. Teach me the skills so I can use them after our projects are done. Give our family a return on our investment, which includes our physical space being cleared, peace of mind, and the freedom to do the things we love. Believe me, I love every gift you have given me through the years, but the one gift I would love is for you to support me in my need for organizing help. Thank you SO much. The letter you just read is very real. It is from the heart and expresses a real need, and a real struggle. While this example is from a wife to her husband, husbands can explain to their wives, parents to their children, a child to their parent. We all need help with things in our lives. 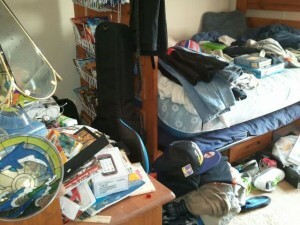 Professional organizers can offer the assistance needed in this area. It doesn’t matter the size of the project. What matters is that you’ve heard what the person is saying to you. 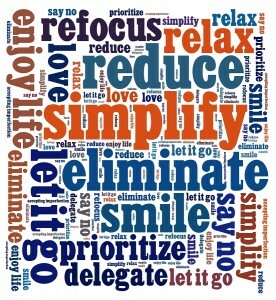 For example, a nurse practitioner client of mine is very overwhelmed with the disorganization in her home. In fact, she has taken naps after our sessions. I explained to her that removing a splinter for me is like having major surgery. Of course, I know that it isn’t, but to her, removing a splinter is nothing, but for me, it is more than nothing. What can you do to listen to and honor your spouse’s, partner’s, parent’s, child’s, friend’s, etc. request?